Julia asks for tips on creating a more engaging annual report. 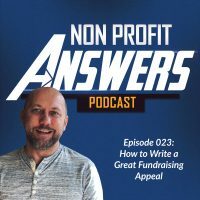 In this episode, Jeremy explains how to create a great nonprofit annual report. You’ll learn who the target audience is for the annual report, 5 goals for your annual report, and how to create an annual report your donors will love. Set yourself apart from other charities by creating an engaging annual report.